Bigelow Laboratory for Ocean Sciences has been awarded funding from Maine Sea Grant for a new study of kelp forests in the Gulf of Maine. Senior Research Scientist Douglas Rasher will lead the project with support from University of Maine scientist Robert Steneck, continuing a long-standing partnership between Bigelow Laboratory and the University of Maine's Darling Marine Center. The researchers will collaborate with government and industry partners to assess the current state of kelp forests in the region and learn how Maine can maintain a sustainable kelp industry. Kelp forests are declining across much the planet, a result of global climate change and local human activities. In the northern Gulf of Maine, however, the researchers believe kelp forests may actually be returning–though the Gulf's warming and acidifying waters mean that some of the kelp species are likely different than those that historically thrived in the region. Rasher and Steneck believe that one major reason for the return of kelp forests is a lack of animals that eat kelp, namely sea urchins. In the later part of the 20th century, humans triggered a "boom and bust" urchin fishery, which reduced them to very low population densities within a decade. "Humans effectively served as a replacement for predators of urchins, like cod," Rasher said. "We flipped the system back to where there are no urchins around to eat the kelp. And now kelps are returning to the Gulf of Maine, particularly in the Midcoast and Down East regions." Over the next two years, the researchers will monitor 25 sites along the state's coastline, from Down East to southern Maine. Gauging the current status of this important coastal habitat establishes a baseline to measure future change against and paints a picture of long-term change. The researchers will compare their data to historical records collected by Steneck and Walter Adey at the Smithsonian Institution's Department of Botany, who will also collaborate on this project. "In order to gauge subtle and gradual changes moving forward, we need to establish a baseline now," Rasher said. Steneck began studying Maine's kelp forests in the 1970s, and recorded changes that resulted from the urchin fishery that opened in 1987. He will bring to the project his first-hand observations of how kelp forests in the Gulf of Maine are changing. "My contribution to the project is a long-term perspective," Steneck said. "It is against this background of change at sites I monitored for decades that we will focus studies on the growth, resilience, and continued change of Maine's kelp forests." Rasher and his team will also perform experiments to determine which kelp species are growing best in a rapidly changing Gulf of Maine and what amount of wild harvest is sustainable. "We predict that kelps are growing most rapidly in the Down East region, which might foster new economic development in that area," Rasher said. The researchers will work with Postdoctoral Scientist Matthew Suskiewicz of Bigelow Laboratory, the Maine Department of Marine Resources, urchin fishermen including Jim Wadsworth, and Paul Dobbins, the owner of the Ocean Approved kelp farming company. They will also collect data in accordance with the Kelp Ecosystem Ecology Network protocols, allowing them to place their findings in a global context. Closer to home, the researchers believe the recent loss of kelp in Massachusetts and New Hampshire, where conditions are much warmer, may foreshadow the future of Maine's forests. 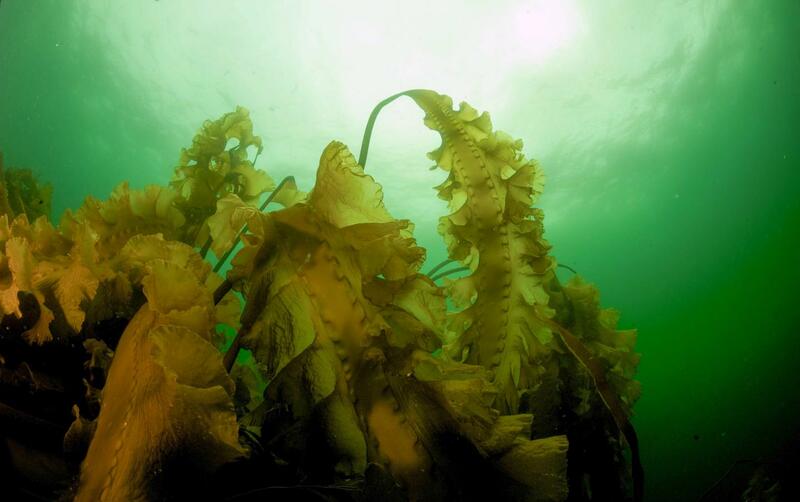 "Recent changes in the food web are fostering the return of kelp forests, but in the coming decades we may reach a tipping point where ocean warming reduces forests in the northern Gulf of Maine," Rasher said. "For now, however, we may be in the sweet spot for their return." Bigelow Laboratory for Ocean Sciences is an independent, nonprofit research institute on the coast of Maine. Its research ranges from the microscopic life at the bottom of marine food webs to large-scale ocean processes that affect the entire planet. Recognized as a leader in Maine's emerging innovation economy, the Laboratory's research, education, and technology transfer programs are contributing to significant economic growth. Learn more at http://www.bigelow.org, and join the conversation on Facebook and Twitter.